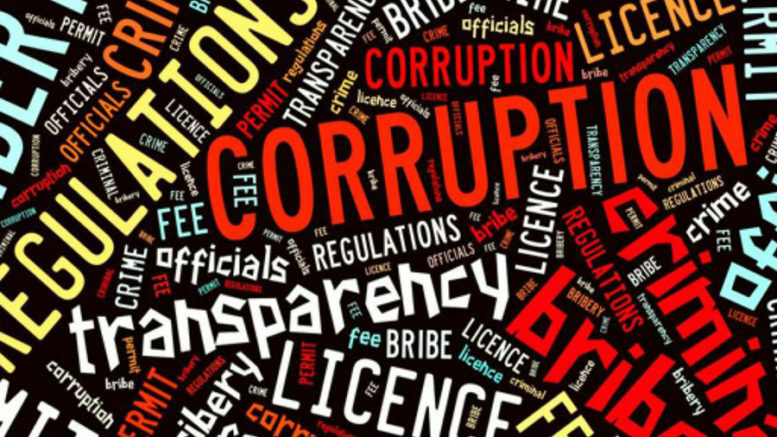 This article by Eva Cripps and published by the Aim Network (27 November 2018) shows why Australia should be wary, of the Morrison government’s turnaround to support the creation of a federal corruption watchdog. She suggests that after its recent crushing electoral losses and finding itself in a minority government, it was compelled to change its strategy. But the intention to prevent disclosures that would embroil the government remains as solid as ever, which means that whatever is set up, will be intended to be a toothless pup. The Government’s eleventh hour hijack of a federal corruption watchdog is hardly a surprise. Still blistering from the party’s crushing defeat in both Wentworth and the Victorian State election, party leaders are feeling the heat. They do not need any further embarrassment. Sitting for the first time on the 26th November 2018 without a majority, the government only changed its tune to support an anti-corruption commission after rumours a National MP would cross the floor to stand with Labor and the crossbenchers in a formal motion. Yet the Morrison government’s about-face is more than maintaining a visage of power on the floor. Attorney-General Christian Porter has already claimed that the bill introduced by Independent MP Cathy McGowan is a “violation of an individual’s rights and freedoms to due process” – something which has never worried Porter when introducing any other legislation. Further, the Attorney-General will not set time-frames for introducing his own bill, dismissing a federal corruption body as a “fringe issue”. Clearly a robust, independent and properly resourced anti-corruption body is not high in the list of government priorities. On the same day the government signalled watery support for a national integrity body, Fairfax Media published a damning indictment on the ability of the existing law enforcement and anti-corruption agencies to deal with systemic corruption in the public service. Further throwing fuel on an already volatile Coalition fire, former Australian Border Force (ABF) Commissioner, Roman Quaedvlieg has also strongly implied that existing law enforcement agencies have been hobbled by the government through lack of funding and resources. He told Fairfax Media of the difficulties in having corruption within his own former agency investigated by the Australian Commission for Law Enforcement Integrity (ACLEI) and the Australian Federal Police (AFP). Quaedvlieg’s public support for a properly funded and well-resourced corruption watchdog should be a worry for his former bosses, Minister Dutton and Prime Minister Morrison, as well as Attorney-General Porter, who is the responsible minister for ACLEI. Quaedvlieg has intimate knowledge of the inner workings of government and an established reputation for supporting anti-corruption oversights. He has expertise in law enforcement, border protection and national security. The lack of willingness by the Coalition government, through the Attorney-General, to fund the existing law enforcement agencies is deeply troubling. For all its talk of national security and protecting Australian borders, it appears evident that the Morrison government and his predecessors have been stifling the very agencies tasked with investigating and holding to account corrupt officials. This supports the public perception that corruption is indeed systemic and rife within federal agencies and government, extending to the federal judiciary which is also under the portfolio of the Attorney-General. It reveals the pantomimed support for a national integrity commission as farcical. Contrary to the Attorney-General’s misguided assertion that “there doesn’t seem to be a high degree of corruption within the federal sphere”, there is no doubt that the Attorney-General (being responsible for ACLEI), and the relevant Ministers were, and are, aware of the depth and breadth of corruption. It is routine for Ministers to be briefed on alleged corruption levels, including the number of referrals to ACLEI and the anti-corruption measures which have been taken by the agency. Ministers are routinely briefed again when serious allegations are made and immediately before any formal action is taken. It is clearly disingenuous for the Coalition to maintain that corruption isn’t an issue, or that the existing agencies are equipped to deal with corruption. This highlights the obvious. What does the Coalition have to fear about a robust, independent, and fully resourced anti-corruption body? Why are those in charge of the security of the nation and the “safety of Australians” so anxious about the establishment of a body tasked with holding officials to account and ensuring the integrity of government institutions? Why would the Coalition not favour an agency with strong powers to “ferret out corruption”, as supported by leading former judges and anti-corruption commissioners? Why hasn’t the Attorney-General and relevant ministers properly funded the existing law enforcement and integrity agencies? The Attorney-General and relevant ministers are ultimately accountable when corruption is left to flourish in the public service, and even more so when vital funding is withheld. What motivation does the government have in attempting to reduce integrity agencies to toothless cubs with barely a gummy nibble, let alone a bite? There is a growing public perception that law enforcement agencies are being used for political purposes. The matter of the alleged tip-off to journalists from Michaelia Cash’s office of the AFP raids on the Australian Workers Union in October 2017, over decades-old allegations, has leached a nasty stain on government; a raid which the ALP and Union claims was politically motivated to implicate opposition leader Bill Shorten in corruption. Similar concerns exist over the motivation behind AFP raids on the Department of Home Affairs, investigating leaks related to Dutton’s au pair saga. The matter caused significant embarrassment to the government when a Senate Inquiry found Dutton had misled Parliament, and further embarrassment when the Senate determined the documents obtained in the raid were covered by parliamentary privilege. Quaedvlieg’s sacking in March 2018 also raises concerns about the use of law enforcement agencies for political purposes. Considering the reasons provided for the termination of his appointment, the political environment, and the extraordinary assassination of Quaedvlieg’s character (only made possible through the unauthorised disclosure of confidential material from the investigation), there is an arguable case Quaedvlieg was initially referred for investigation for political and/or personal reasons and was erroneously sacked. Dutton has not yet been interrogated on how it was proper for Quaedvlieg’s then contemporary, Pezzullo, to refer Quaedvlieg to ACLEI for investigation, knowing they had worked closely together for years and were both considered potential candidates for the role of secretary of the new mega-Department of Home Affairs (which was only publicly revealed once Quaedvlieg was stood down). Dutton has not provided an explanation on why it took Pezzullo months to recognise the obvious conflict of interest and recuse himself from the matter. It is also notable that the AFP has taken no action into the unauthorised disclosures of confidential information relating to the investigation into Quaedvlieg, despite the leaks commencing within a month of his referral to ACLEI and continuing during and beyond the investigation and termination of his appointment. This is in stark contrast to the AFP’s swift action on the au pair affair leaks, which caused embarrassment to Dutton, rather than a private citizen. The matter of ACLEI finding resources to investigate and refer for prosecution Quaedvlieg’s girlfriend for alleged minor and “nitpicky” offences relating to the investigation into Quaedvlieg, is also of serious concern. This “coincidentally” occurred mid-2018 at the time Quaedvlieg began speaking out publicly against government policy. There is, and was, no public interest in charging and prosecuting the woman, which is supported by the weak brief of evidence presented by the Commonwealth Department of Public Prosecution. In fact, if not for the arguably improper initial referral of Quaedvlieg to ACLEI, she would not be facing any charges at all. Conversely, the government has failed to take any action to pursue the matter of Dutton allegedly asking Quaedvlieg to help two of his friends obtain employment within the ABF. It has also failed to address claims listed in a whistleblower’s document filed with the Queensland Legislative Assembly in August 2017, in relation to the allegations of corruption against former Ipswich mayor Paul Pisasale, which implicate Dutton in the scandal. While question marks hang over the heads of other members of parliament, the unexplained matters relating to Dutton are of profound concern given his prominence as a Minister and his influence within Cabinet. Fractured by internal warring and deserted by previously loyal voters, the Coalition is facing an election wipeout. All it needs now is an independent, properly funded and well-resourced integrity commission to ferret out abuse of power and corruption and the Liberal Party will face electoral oblivion. With the loss of majority, Morrison has no choice but to feign support for a corruption watchdog. It’s the only way to gain control and effectively neuter the now foreseeable and genuine threat to the conservative-right’s supremacy. It is therefore crucial that Labor and the crossbenchers fight fiercely for an independent body which has strong investigatory powers, capability and resources. It must be properly funded with bipartisan oversight to prevent improper interference. It must maintain impartiality and avoid at all cost the perception it is being used for political purposes. And perhaps once such a body is established, Australians will renew their faith in democracy. Be the first to comment on "Coalition has incentive to neuter federal corruption watchdog"